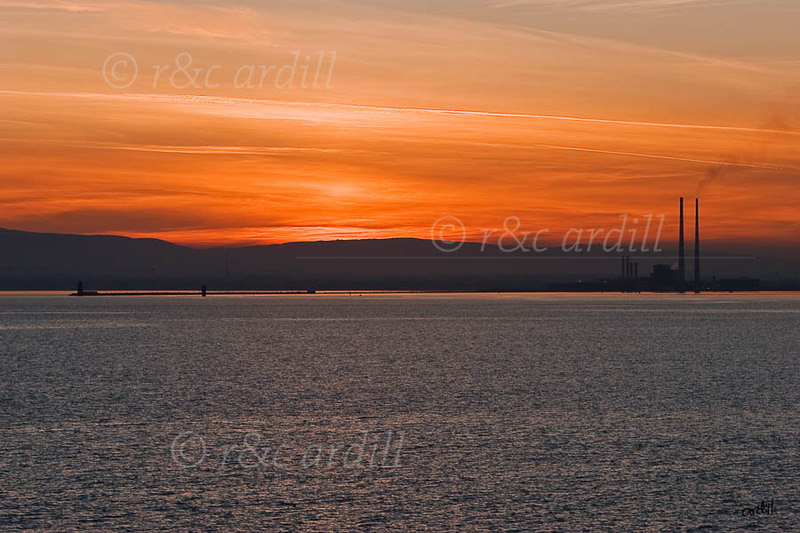 Photo of: East Coast of Ireland: Dublin: Dublin Bay. A view of across Dublin Bay from Howth Head at sunset. The chimney stacks of Ringsend power station and the cranes along the quays and Dublin port stand stand out in front of the Dublin mountains.